I started working for Focus 25 years ago, okay perhaps I wasn’t officially working as I would have been about 15 years old and still at school, but I remember my parents setting up an inspection company and they wanted a logo designing and some ideas for names. My naïve self, not knowing anything about marketing or branding back then, suggested Focus as that’s what they were doing – focussing on schools and teachers. The logo was rather amateurish when I look back and very reserved. Focus Inspection Services was born. For the next few years, whilst I trawled through my GCES’s and A-Levels and then degree, my parents were running around the country, usually separately with two different inspection teams, inspecting schools. Those were the days of the one or two week inspections with rafts of paperwork collected in crates or boxes a few weeks before and time spent preparing to inspect. I remember entering judgements into the framework software during my university holidays or typing up inspection EF’s. I even attended a few inspections and would love seeing each school and how different they all were. Some heads were ultra-confident, some were walking round sick and nervy all week. The displays were amazing as you walked in and the whole school had really prepared for their inspection (at that point they’d had 6 weeks notice!). When I left uni, I went to work for Hope Education, also known as Premier Education. That was an eye opener and it definitely expanded my mind, skills and language as I worked in the operations department in the warehouse. A great experience and one I learned a lot from, even if I might not have realised it at the time. I was always aware the business at home was changing as the tender process for Inspections got harder and harder and the numbers of providers were squeezed from 120. I remember us proudly getting down to the last 25 providers and some excellent feedback coming in from Ofsted at the time. The Chief Inspector back then knew all the providers and would meet with directors of those companies, usually around a monitoring visit. 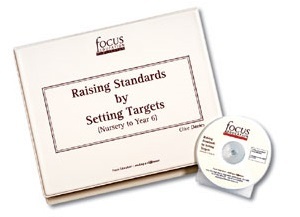 Focus was highly praised for its high quality approach and professionalism, something which is still a priority today. When we heard the news that they were looking for regional providers and they wanted to whittle it down to 6, we knew we wouldn’t be big enough to get a contract and so we partnered with Nord Anglia and became their training provider. We trained the Inspectors and they carried out the Inspections. It was just before this I’d begun to work for Focus, we’d rebranded as Focus Education and moved into conferences and publications. Clive had written a set of subject coordinator publications and these were selling like hot cakes. We’d dipped our toe in the water of conferences and they’d been so successful and had such fantastic feedback, we’d planned another 3. By the end of the year we had schools ringing up asking us to put more conferences on and we couldn’t keep up with the demand on publications. That year we ran 65 conferences all over England. I don’t think I’d ever clocked up as many miles on my car! We also moved premises as the office was taking over the house! In the meantime, Clive had started to write another book… this time it was on Target Setting. This book sold out! More than half of the schools in England bought it and we couldn’t make them fast enough to sell them. Infact some heads still have this original folder in their offices. Fast forward to 2018 and we’ve ran 1500 conferences, published 750 books and worked with schools in over 90% of local authorities. Focus has seen the highs and lows of education – it definitely feels schools are experiencing a low at the moment! We are working with more schools than ever before. Unfortunately, these schools have very tight and difficult budgets. Luckily, we love a challenge and understand working in schools. 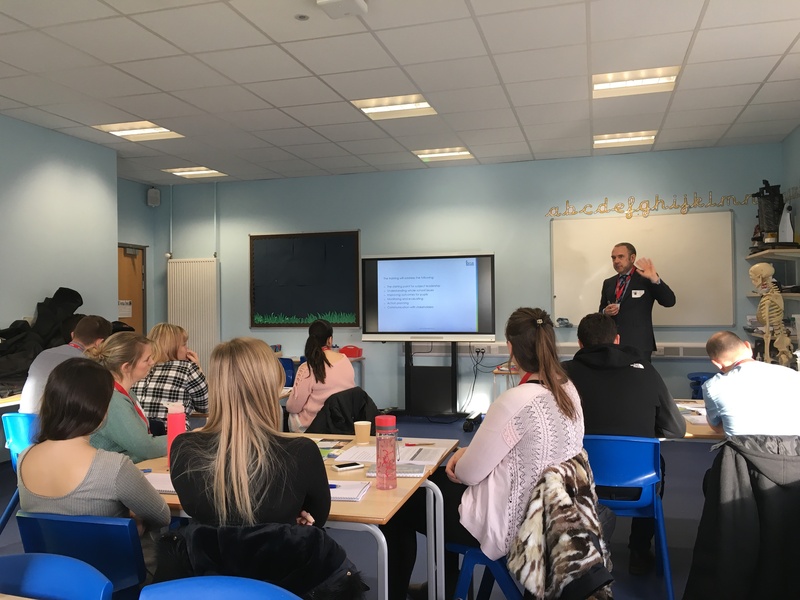 We’ve seen various buzz words come in and out – Target Setting, Accelerating Learning, Ever Child Matters and Brain Gym. I remember when it was a new thing to get children to drink water in classrooms – seems madness now that we ever stopped it! I remember the smiles on the teachers faces when our Brain Gym consultant got everyone up on their feet doing exercises at 9.30am! We’ve met teachers and heads the length and breadth of the country. Most of which have become ‘fans’ of focus and ring us for the latest products or to book a consultant in school. Some ask for job references from us (if we know them really well) and others ask for discount (well if you don’t ask you don’t get!). I like to think that as well as being a family working in the business, we feel like a big family to everyone, albeit a professional one. Our customers are our friends. Our consultants are in schools, in staff rooms, year after year. Over our 25 years we’ve seen teachers become heads, we’ve seen weddings, births and divorces and we’ve seen heads retire and some even pass away. It feels like a journey we all travel together and I hope the journey will continue for another 25 years at least. Keep an eye on our blogs and emails for more information on our 25th year in business. We will be running lots of interesting competitions and sales. 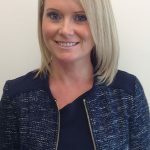 Find Claire on Twitter or follow us to find out our latest information.